New research highlights a memory strategy that may help people who suffer from depression in recalling positive day-to-day experiences. The study is published in Clinical Psychological Science, a journal of the Association for Psychological Science. Previous research has shown that being able to call up concrete, detailed memories that are positive or self-affirming can help to boost positive mood for people with a history of depression. But it’s this kind of vivid memory for everyday events that seems to be dampened for people who suffer from depression. Researcher Tim Dalgleish of the Medical Research Council Cognition and Brain Sciences Unit and colleagues hypothesized that a well-known method used to enhance memory — known as the “method-of-loci” strategy — might help depressed patients to recall positive memories with greater ease. The method-of-loci strategy consists of associating vivid memories with physical objects or locations — buildings you see on your commute to work every day, for instance. To recall the memories, all you have to do is imagine going through your commute. In the study, depressed patients were asked to come up with 15 positive memories. One group was asked to use the method-of-loci strategy to create associations with their memories, while a control group was asked to use a simple “rehearsal” strategy, grouping memories based on their similarities. After practicing their techniques, the participants were asked to recall as many of their 15 positive memories as they could. 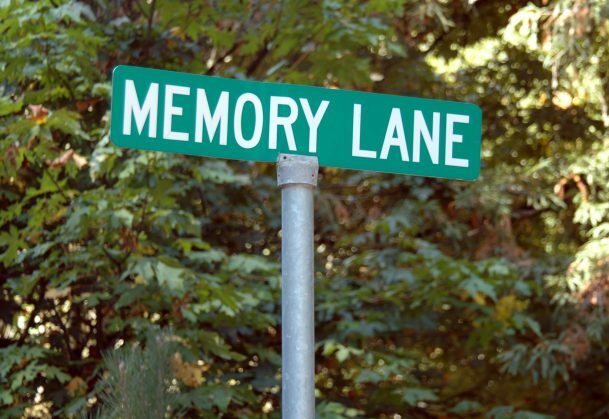 The two methods were equally effective on the initial memory test conducted in the lab — both groups were able to recall nearly all of the 15 memories. But the strategies were not equally effective over time. After a week’s worth of practice at home, the participants received a surprise phone call from the researchers, who asked them to recall the memories one more time. Participants who used the method-of-loci technique were significantly better at recalling their positive memories when compared to those who used the rehearsal technique. These data suggest that using the method-of-loci technique to associate vivid, positive memories with physical objects or locations may make it easier for depressed individuals to recall those positive memories, which may help to elevate their mood in the long-term. In addition to Dalgleish, co-authors on this research include Lauren Navrady, Elinor Bird, Emma Hill, Barnaby Dunn and Ann-Marie Golden, all of the Medical Research Council Cognition and Brain Sciences Unit. This research was supported by the U.K. Medical Research Council.